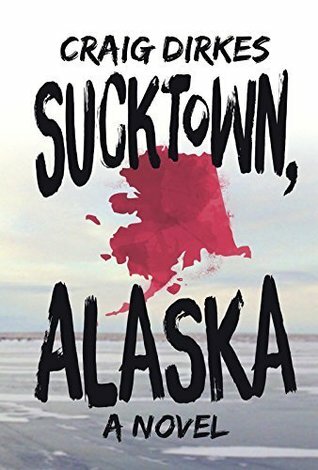 Looking for a great adventure, eighteen-year-old Eddie Ashford stumbles into a job as a reporter in tiny Kusko, Alaska, a place so remote that bush planes are the only way in or out. When the job and the place, which sits on the flat and desolate tundra and not in the stunning mountains he'd imagined, turn out to be disappointments, Eddie thinks maybe it's time to bail. But three things tie him there: 1) Taylor, a girl who might be a little too pretty and a little too smart for him; 2) Finn, a new friend who is an all-around good dude but also happens to be a small-time pot dealer; and 3) Eddie's empty wallet, which means he can't afford to transport himself and his possessions back to civilization. Despite every good-guy instinct inside him, Eddie flirts with trouble as he tries to find a way home. Craig Dirkes grew up in Minnesota with his parents and two older brothers. He spent his 20s attending college at St. Cloud State University, working at his family’s business (a lollipop factory), and traveling the world, having set foot in 39 countries. He began his career as a journalist in rural Alaska, and today he works as a public relations writer and professional wedding photographer. He lives in Minnesota with his wife and three young children. He enjoys bird hunting, eating deep-fried cheese curds, and watching Minnesota Vikings football. The synopsis didn't meet up with what the book was really about. This book was pretty boring and just didn't pan out for me. It was fairly a disappointing read.